It’s one of the greatest untold stories of Women in Tech. During MGM's Golden Age in the 1940s, Hedy Lamarr was one of the most beautiful actresses in the world. She was also one of the smartest. Instead of attending parties with famous co-stars like Jimmy Stewart and Clark Gable, the 28-year-old Hedy spent her evenings at home inventing a completely new, innovative form of technology that she hoped would help the U.S. win World War II. What Lamarr invented (with the help of composer George Antheil) was a secret communication system known as frequency hopping, a revolutionary form of technology that would make it impossible for radio transmissions to be “listened to” or “jammed” by the enemy. The invention would allow, for the first time, wireless transmissions by the U.S military to be completely secret. On June 10th, 1941, Lamarr and Antheil filed for a U.S. patent for their "Secret Communications System.” The patent was granted and the pair gave it to the U.S. Navy, hoping it would be implemented. Instead, the idea was all-but tossed on the shelf and the patent eventually expired. Remarkably, a few years later, the U.S. military rediscovered the patent, and Hedy’s idea was first deployed on U.S. warships during the 1962 Cuban Missile Crisis. In the 1970s and 80s, frequency hopping would go on to become a groundbreaking form of “spread spectrum communications”. In the 1990’s, the concept would explode into a groundbreaking technology called “Spread Spectrum Technology,” which would pave the way for the creation of wireless phones, Bluetooth, GPS, and Wi-Fi. “Frequency hopping” is even used in the $43 billion dollar Milstar Satellite System, created by the U.S. Air Force and U.S. Space Command. Sadly, Lamarr passed away in 2000. She never received a penny for her invention and little public recognition. Even now, Hedy is remembered more for her spectacular beauty and brief Hollywood career than for her technological contribution to the world. We’d like to change all that. 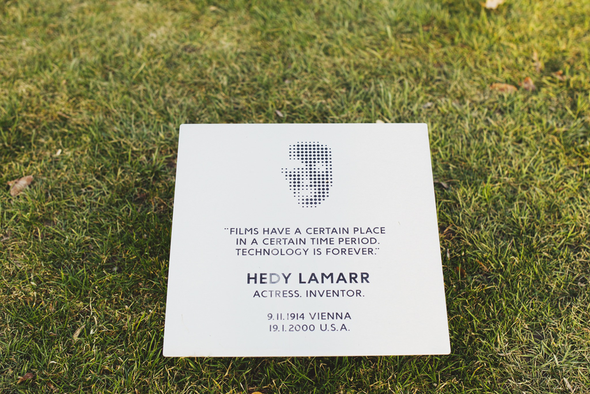 It’s not too late to help honor Hedy Lamarr with a memorial in the Vienna cemetery, where she is now laid to rest. To mark the 75th anniversary of the patent, we are raising $9,000 to help pay for a monument that’s been created in her name. The campaign offers different levels of donation-based rewards. 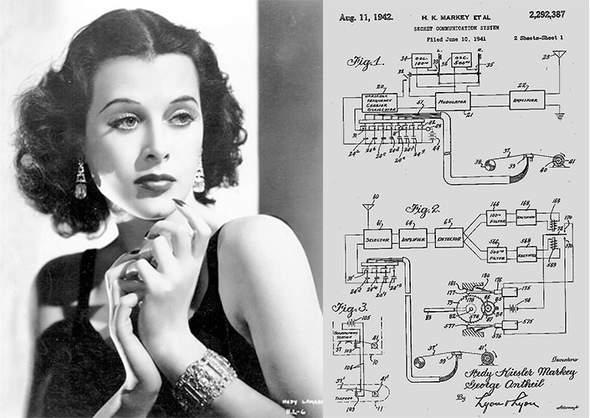 June 10, 2016 was the official 75th Anniversary of Hedy's Frequency Hopping patent. A portion of Hedy's ashes were placed in an honorary grave in the Vienna Central Cemetery. The other portion was scattered in the Vienna Woods. Sadly, the resting place of this remarkable woman remained unmarked for years until Hedy Lamarr’s son, Anthony Loder, contacted a Viennese designer to create a lasting memorial for his mother. Christian Thomas was commissioned to design a stainless steel grave marker to honor Lamarr’s work. 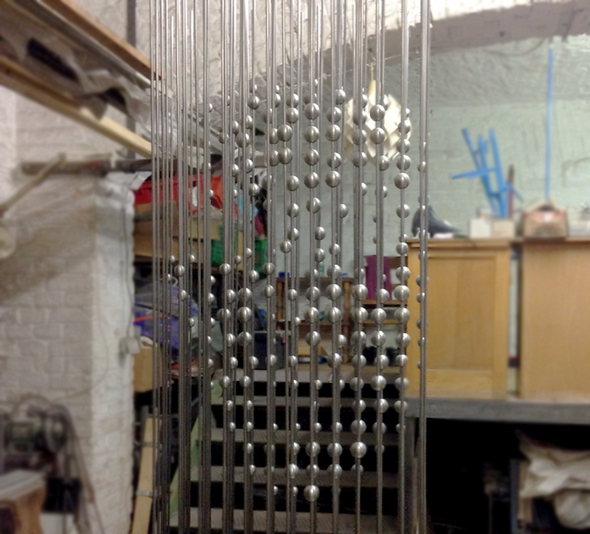 It's a series of 88 balls on stainless steel rods (which mimic the 88 frequencies in Hedy's patent for frequency hopping). To mark the 75th anniversary of Hedy’s remarkable patent, we are reaching out to Hedy's fans, asking you to help us memorialize Hedy's talent. Together we can help pay for the memorial. Please help celebrate the life of this remarkable woman who changed the world. Together we can remember Hedy Lamarr as more than just a pretty face. 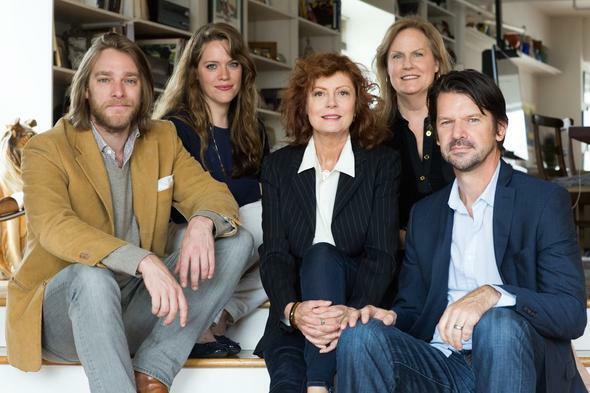 Reframed Pictures is the film, television and digital production company in NYC created by actress Susan Sarandon and a team of award-winning producers and directors. Reframed Pictures is producing a new documentary on the life of actress Hedy Lamarr, which will be released in theaters in 2017 and will premiere on television as part of the celebrated American Masters series on PBS later that year. Susan Sarandon is the film's Executive Producer. Katherine Drew is producer. The documentary is directed by Alexandra Dean. 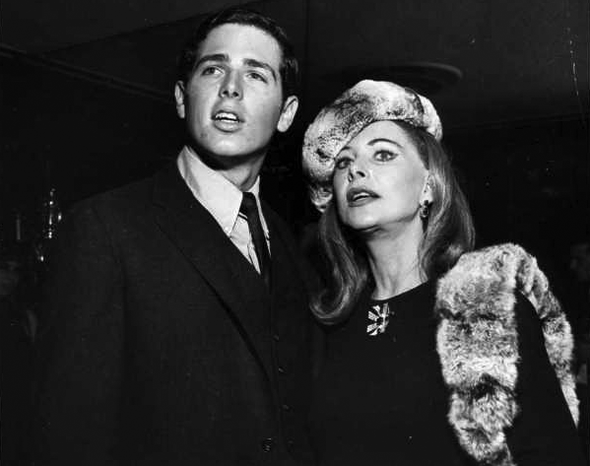 Anthony Loder is the son of Hedy Lamarr. His wish has been for people to remember the groundbreaking contributions of his mother. He is in failing health and needs help to pay for this memorial to his mother at her final resting place. 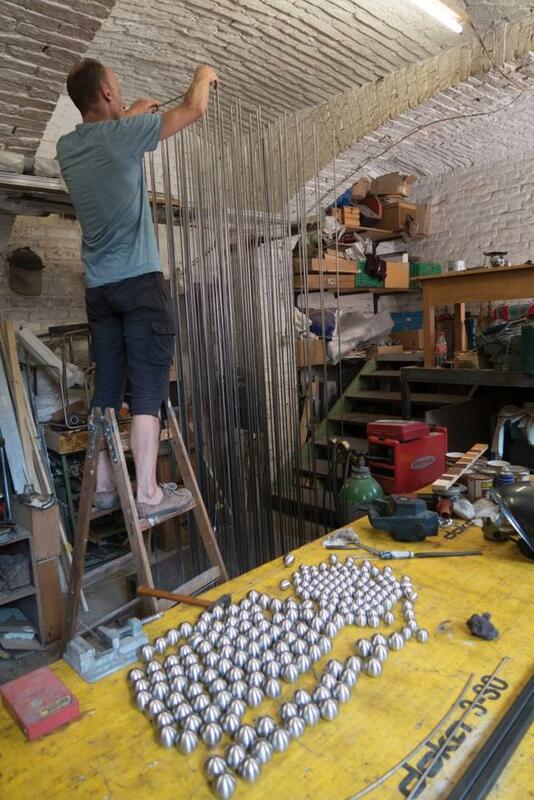 Christian Thomas is an industrial engineer and designer based in Vienna, Austria. 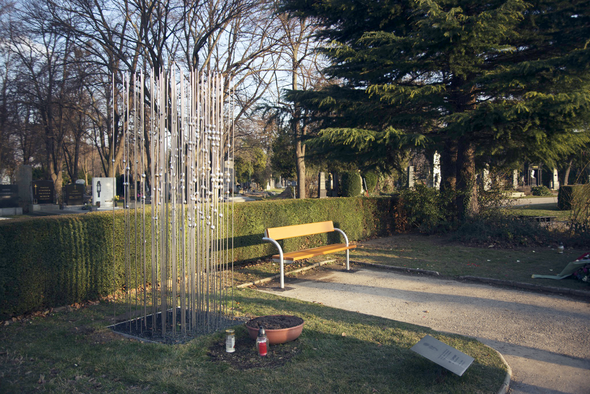 Thomas designed the Hedy Lamarr memorial for the Vienna Central Cemetery (Zentralfriedhof) by using 88 stainless steel rods depicting the 88 frequencies in Lamarr's "frequency hopping" patent. 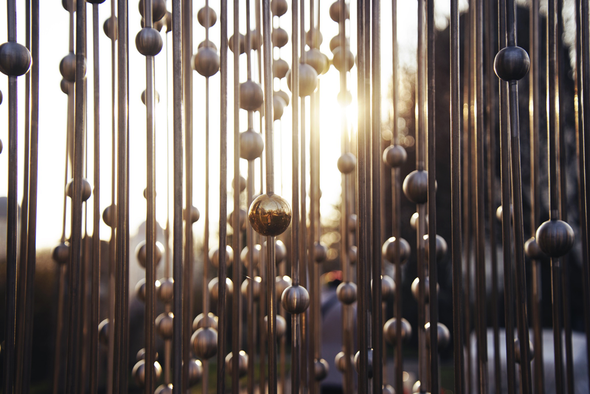 The stainless steel rods and balls in the memorial were designed to create an optical illusion, wherein Lamarr's face becomes visible when visitors are standing directly in front of the grave. Share this story with friends and donate to the memorial project. Let's make sure that future generations are aware of Hedy's contributions to Tech. It's super simple. Scroll up to the video and share the links below. Thanks!